Panasonic printers are designed to provide optimum performance for all your printing needs. These printers provide quality, speed, versatility, ease of use and extensive network solutions, in compact, low-cost, low-maintenance designs. 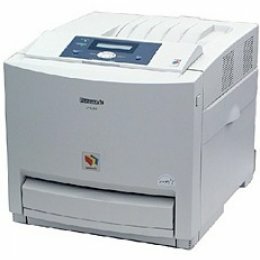 The Panasonic KXCL400 Color Laser Printer is the ultimate network printer. The Panasonic KX CL400 is the perfect, affordable, low maintenance printer for small and mid-size businesses. Panasonic printers feature high speed printing engines that provide swift print speeds and warm up times for more printing and less waiting. Toner Saver modes and amazing resolutions give you the efficiency and quality you desire to run a smart business.